A successful product, in pretty much any category, is not defined (just) by how many people are using it, but (also) how many people are using it – frequently. Think about it – if you hear a really good song on the radio – you’ll probably want to hear it a hundred more times. If you find an awesome restaurant in a back alley somewhere, you’ll keep coming back for that teriyaki wok. So what do radio editors and restaurant managers do when they notice you like the song/food? Radio editors might keep playing the same song every day. Restaurant managers might send a glass of wine your way, on the house, to let you know they appreciate you coming every once in awhile. The same thing as with apps – important as it is to have people downloading your app, that doesn’t mean you’ve completed your work. On the contrary, my dear Watson – only then is your true task just beginning. Building the app is the easy part – now you need to focus on making people return to the app. In turn, transforming them to regular users and giving you various chances for monetization. That is the true challenge here – to get as big of a retention rate as possible, and to convert one-time users into regular returnees. The best way to measure how successful an app is to track retention. 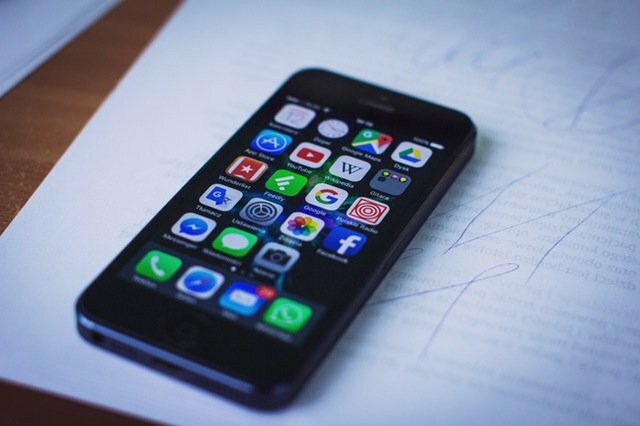 Some may argue that engagement is the best way to go – but not all apps are created equal. While some (for example, Shazam) might have fairly low engagement, others (Facebook) might have it high. That doesn’t mean both apps won’t be able to monetize properly, which is why it is best to focus on retention. Retention is a metric allowing you to see how many people are returning to the app. As you try to engage with them, retention will help you understand which parts of your app are working and which are not. This will help you make tweaks in order to keep your users coming back for more. By constantly making improvements, you will keep your users and keep that conversion rate high. If you want to measure retention, you need to understand how often users are returning in a set period of time. That is best done through cohort analysis, which groups together people who have started using your app at approximately the same time and shows you, in percentages, how many are returning. Now, we won’t go in depth on what you need to do to keep your users engaged, and coming back for more – that’s a whole other post(s) in and of itself. Assuming you already know, and have devised a strategy, we will just focus on how to measure the success of that strategy: user retention. In particular, we’ll on that little extra you can do to improve that analysis. Here’s an example of how touch heatmaps can help you improve retention. Let’s say you have an app with a login screen. It allows your users to log into the app using either a custom account, or their Facebook and Google accounts. In that screen, you’ve noticed through touch heatmaps, that a lot of people are swiping across the bottom of the screen, looking to proceed without registering, or logging in at all. After they realize they can’t enter the app without registering, they quit, never to be seen again. This might prompt you to create a ‘Enter as Guest’ feature, solving an important issue for a group of users, effectively improving on the overall user experience and beefing up that retention rate. 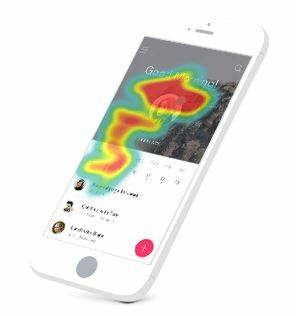 That is exactly what touch heatmaps can do – the feature will give you more insight into user behavior, which is essential to understand if you want to improve the user experience, and ultimately – retention. 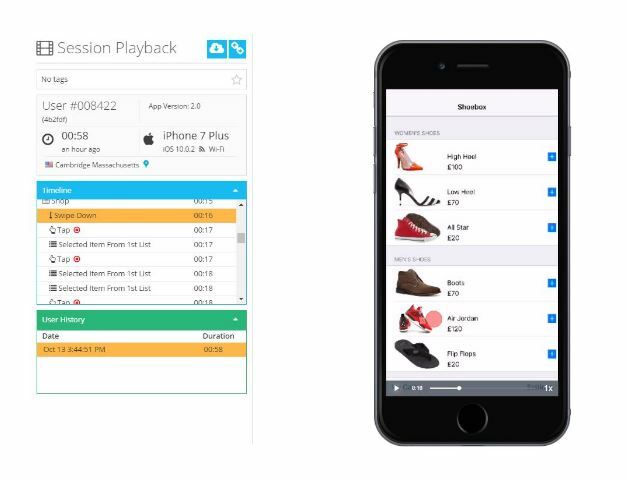 Real-time, information sensitive session recordings of users interacting with your app can be crucial to your app’s success. This feature will let you see exactly how users engage with your app, what they do, if and where they get stuck, and which parts of your app cause frustrations. Hannah Levenson is the Content Marketing Manager at Appsee . A UX and mobile app enthusiast, she has a great affinity for discovering and sharing unique insights and resources with the mobile tech community. Hannah also loves photojournalism, classic rock, and pretending that she’s the only one with a “foodie” Instagram account. You can follow Hannah on Twitter @HannahLevenson.